garage. The gas warning systems must comply with the newest standards but also the legal regulations. The newest product range of MSR-Electronic PolyGard II is an extendable system, which offers to apply different exchangeable sensors and they fulfill the newest EU standard EN 50575 und EN 50271. 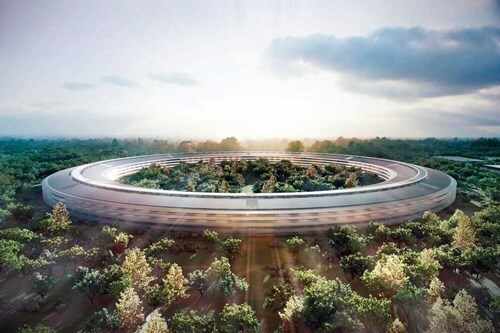 Apple Headquarter, Riem Arcaden in Munich, hotel garages in Las Vegas as well as Yas Island in Abu Dhabi, Abdali Mall in Jordan and the Brenner Basis Tunnel were equipped with gas alarm systems of MSR-Electronic. The individually configurable and flexible integrable solutions of MSR-Electronic are used in a variety of commercial and industrial applications. The company’s headquarter based in Pocking and operates with more than 70 distributors in more than 42 countries on all continents. In great demand are security technologies not only in parking garages, but everywhere where people and machinery stay in closed spaces such as offices, production halls, laboratories or in the petrochemical industry. The combination of MSR-Traffic-Park guidance systems and MSR-Electronic gas warning systems is worldwide unique and innovative. Both systems can be integrated in one equipment. Thanks to the same communications: protocol and interface, therefore it is possible to block a parking level, if the level of the gas reaches a dangerous value. A further advantage is the economization of costs (installation and wiring). A typical application of the way to combine technology combination can be found in climate-friendly Edvard Thomsen – Vej – storey car park in Copenhagen. 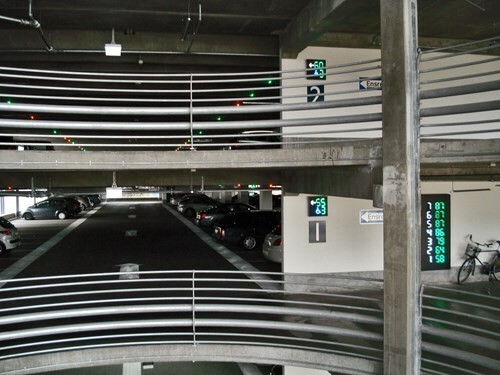 The MSR-Traffic – car-park routing system consists of ultrasonic sensors for single-user recording, magnetic sensors for counting the highest level, LED displays on each parking level to display the available parking spaces and a software for visualization the engaged parking places (ParkGard® Control Center). In addition, the status messages of the sensors of MSR-Electronic for the detection of CO and LPG are also integrated in this visualization to protect the lives of visitors as well and to guide them in other areas. Gas measuring and warning systems must bereliable at all times. In case of leakages dependable products and rapid assistance are needed. In order to offer its customers the best possible support, the technical support of MSR-Electronic works with belt and braces. The sensors, controllers and warning devices of MSR-Electronic protect people effectively in dangerous situations. With the aid of modern communication technology a quick reaction is ensured. Maximum security is the top priority, for this reason many security features of MSR-Electronic are standard and without additional charge. Previous Previous post: Hydrogen Gas H2 Sensor for Battery Charging Room. Next Next post: Happy New Year 2017 Greeting’s from ALVI India..!